India’s controversial acquisition of the French Dassault Rafale medium weight multirole fighter, which has mired Prime Minister Narendra Modi’s BJP government in a serious corruption scandal, due in part to the extreme costs of the platforms, has reportedly been undermined by recent reports that Pakistani pilots were given access to the aircraft and trained to operate them in France. 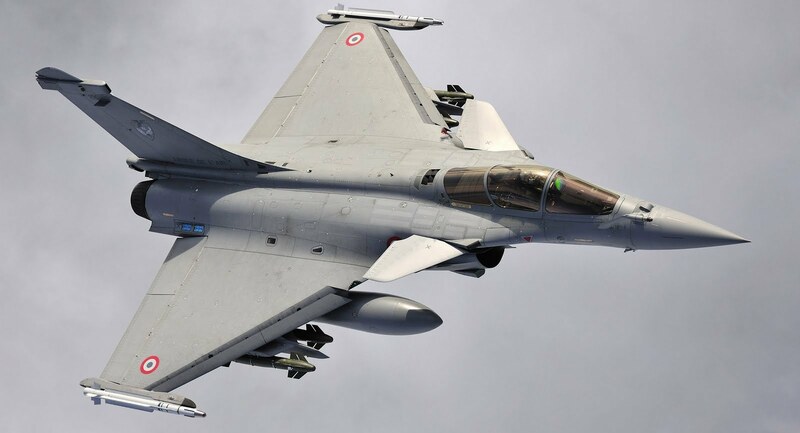 While the primary pretext for Rafale acquisition has been to counter Pakistan, particularly in light of recent skirmishes in the air between the two countries in late February 2019, news that the Pakistani military is likely aware of the exact specifications of the fighters has dealt a serious blow to the platform’s potential viability in Indian hands. While Pakistan has no plans to operate the Rafale itself, instead relying on the upcoming JF-17 Block 3 and stealth fighters developed under Project AZM to modernize its fleet, Pakistani pilots under the Qatari Air Force were dispatched to France to train on the Rafales. The Qatari armed forces have relied on recruits from the South Asian state to operate its hardware since the 1970s, and Pakistani personnel even operated Qatari battle tanks during the 1991 Gulf War and engaged Iraqi forces on the Gulf State’s behalf. Qatar’s small population and extremely high living standards have meant that it has been unable to recruit its own citizens to serve in the front lines of its own armed forces – and much like neighboring Saudi Arabia it has relied heavily on Pakistani assistance as a result. Pakistani familiarity with the Rafale design, and the fact that its pilots have flown the aircraft before the first squadron was ready for service in the Indian Air Force, means that its armed forces will know the fighter’s exact limitations and those of its weapons systems – allowing assets such as PL-12 equipped JF-17 fighters and HQ-16 air defense batteries to better avoid attacks from the French made platforms and more effectively neutralize them in turn. Alongside the current corruption sandal surrounding the Rafale acquisition, this could well be a key factor in preventing the Indian Air Force from pursing further acquisitions of the French fighters – which it is currently considering as part of its RFI tender for new light-medium weight fighter jets. The Indian fighter fleet, however, still remains highly capable of countering potential Pakistani attacks with its heavier and more capable fighter jets such as the Su-30MKI – which surpasses the capabilities of the Rafale across the spectrum and is capable of carrying state of the art munitions such as the R-77, R-27ER, AIM-132 air to air missiles and BrahMos cruise missile, with which Pakistan’s armed forces are far less familiar.